In the grand scheme of things, tonight doesn’t mean much. However, as the last season of the CCHA draws to a close, Miami has a lot of hardware on the line this evening. Tonight is the CCHA Awards Show (tickets are still available), and with a player/coach nominated in each of the categories, Miami could haul home some nice individual honors. Every person involved with the team will tell you the same, that tonight’s awards are team awards, or tonight’s awards don’t mean anything if the Hawks don’t get it done ON the ice in the next 4 weeks. Here’s our take on how tonight will go down. Well, I think Enrico Blasi and the RedHawks turned all of those doubts into more hope for this young team with a 4-1 victory that wasn’t nearly as close as the score indicated last night. Let’s take a look at the two nights’ work. On Friday, Michigan State came out firing with their first goal at 8:04 of the night. Miami couldn’t counter punch at all. A usually stout Austin Czarnik was just 5 for 21 in the faceoff circle, and Miami’s scoring chances were minimal. Ryan McKay stopped 21 of 24 shots on the night, but on the other end, Freshman Jake Hildebrand blocked all 34 shots Miami fired at him and MSU skated away with the shutout win. Turn the page to Saturday night, and we saw the team that has been in the top 10 for the entire season, currently stands as the #3 team in the land and the team that is second in the country in scoring defense at 1.63 Goals per game. To start the game, Miami wasn’t messing around. Senior Captain Steven Spinell, having not played entirely up to his potential over the last several weeks, decided to set the tone. The very first time MSU tried to cross the red line at center ice, Spinell laid out MSU’s Kevin Walrod. In the post-game press conference, Spinell said he “saw the opportunity and took it to send a message and set the tone for our team. We’re here to battle, and that was our focus.” (courtesy: Rick Cassano, Hamilton Journal-News) Spinell took a 2 minute penalty for and Indirect contact to the head – elbowing infraction, but the tone was set. Last night, Miami held Michigan State to just 4 shots in the first period, 5 in the second and 8 in the third. Unfortunately, scoring chances isn’t an official stat, but I’d venture a guess that Miami had around 17 scoring chances compared to those 17 actual shots by Michigan State. In the second period alone, Miami outshot MSU 20-5 and really made the game look like it was theirs without question. Once again, Blasi pulled the right strings and added some extra strokes to his masterpiece of a season. Blasi took Blake Coleman out of the game as a healthy scratch and inserted Bryon Paulazzo seemingly on a whim. To make the lines fit, he also dropped Cody Murphy down to the fourth line. Murphy was centered by Max Cook and also had Jimmy Mullin on his line for the night. Murphy had a goal and an assist, and Mullin scored the first Miami goal of the series that really turned the momentum in favor of the Hawks. Miami was clearly the better team, and after Mullin opened the scoring, the rout was on. Austin Czarnik scored the game winning goal – his NCAA leading 4th shorthanded goal – off of a fantastic effort from Riley Barber, and Miami never looked back. 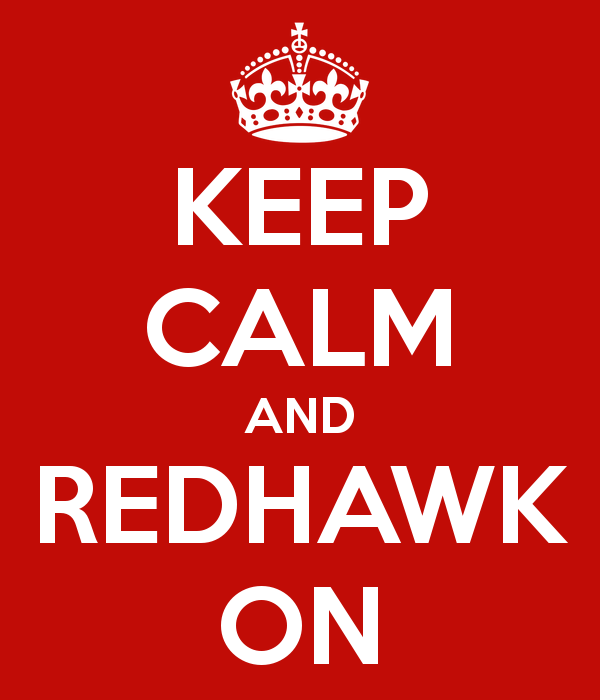 In all, 4 RedHawks had multi-point nights: Czarnik would add a second goal in the 3rd period, Matthew Caito (team high 6 shots) and Barber had 2 helpers each, and Murphy had his spectacular goal and added an assist to go along with his 4 shots on the night. Tonight, we find out if the momentum gained in the first period of Saturday’s game will carry into Sunday’s deciding game 3. If Miami can win, they will head to The Joe and will face the hottest team in the NCAA in Michigan (7-0-1 in their last 8). If MSU wins, Miami still likely has a #1 seed wrapped up, but will not have the opportunity to win the final CCHA Tournament Championship in Detroit next weekend. Tickets are still available for tonight’s game. Tickets are $3 for students and $18-23 otherwise. Puck drop is at 7:05 once again, and the game can be seen in HD on Miami All-Access. Championship just 2 points away. The march to Pittsburgh is nearly upon us. When we were looking at the PairWise back in December, it didn’t really make sense. Now, however, it’s very meaningful. Let’s take a look at what’s happening keeping travel in mind. First, there are 2 regionals that Miami would love to be at: Toledo and Grand Rapids. Light travel, meaning no big trips out east to play eastern teams that are hosting, even when Miami is a #1 seed (UNH, 2011). And secondly, Miami could end up staying within 302 miles of Oxford (Grand Rapids: 298 mile drive, Pittsburgh, 302 mile drive) from the CCHA tournament through the Frozen Four if things happen to fall correctly. It’s certainly not a lock, and there’s a long way to go, but let’s take a deeper look at the current PairWise. Tonight, Miami unveiled their uniform for the 2013 Hockey City Classic, and it’s like nothing you’ve ever seen from the RedHawks. Or maybe it’s a combination of a lot of what you’ve seen in the past from them? Either way, I can’t say they are the prettiest jerseys I’ve ever seen, but they do look pretty darn special. Here’s Miami’s release on the new jersey design, with Steven Spinell showing off the new unis. Spinell is a Chicago-born and raised kid, who will certainly relish this weekend’s game against Notre Dame in Soldier Field. “Red hot” just wouldn’t be fitting for the fighting polar bears from Alaska at the moment. The Nanooks come to town on a 6-game win streak with each of the 6 wins coming at a critical time in the race to the CCHA playoffs. Behind the EZAC’s ECAC’s Quinnipiac (15-0-2) and Hockey East’s UMass-Lowell (10-0-1), they are one of the hottest teams in the country. 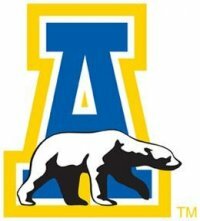 Looking at those team’s opponents, it’s safe to say that Alaska is truly that hottest team. with a 2-game set at Michigan. Head coach Rico Blasi has had recent success against Michigan, but is still just 12-23-2 in his 14 years in Oxford. Overall, Michigan leads the series 71-26-4, but Miami is making a smidge of progress, as they are 8-5-1 since 2008-09. With a renovated Yost Ice Arena welcoming in their first CCHA opponent, expect the Michigan students to be in full voice this weekend. And let me tell you…it’s not a fun place to be an opposing team. On the ice, the Wolverines have a similar goalie situation as Miami does, and have yet to finalize who will be their number one guy, if anyone. It may be becoming apparent on who that might be however, as Red Berenson will start Freshman Steve Racine in net on Friday night. Racine is 2-0-0 on the season and has allowed 5 goals in those two games. Another freshman, Jared Rutledge has also seen time in net, but allowed 5 goals in just one game against RIT in Michigan’s 5-4 OT loss to open the season – and he hasn’t been on the ice since. Michigan held a 4-1 advantage in that game, so nothing is outside the realm of possibility this weekend if the Michigan netminders cannot hold their own against Miami’s high-flying attack. However, in order to get even one tie or win, Miami will get out to a fast start, and they have to be staunch in net and on defense. Michigan has played 4 games so far this season: an exhibition against Windsor, 2 against RIT and one against Bentley last weekend. It’s safe to say they haven’t seen the likes of Miami’s speed and skill and will need to step it up a notch or three to take the series. On the other hand, Michigan has done what they needed to against these teams, and have not scored less than 4 goals in any of the games, including the 4 goals in the OT loss to RIT. As expected, Senior Captain A.J. Treais leads Michigan on the young season, with 3 goals and 2 assists. Highly touted freshman Jacob Trouba has also started the season strong with 2 goals and 2 assists thus far. The Wolverines’ best defenseman, Jon Merrill has been injured to start the season and likely won’t play. Another D-man Kevin Clare sustained an injury in the win over RIT in the second game of the season, and could return to action this weekend. Both blue-liners are Juniors and are sorely needed for this Michigan team to succeed this season. On the Miami side of things, Riley Barber (4G-1A—5 Total Points) comes in with a 3 game goal scoring streak, and looks to continue his hot start after earning CCHA Rookie of the week last weekend against Providence. Barber, Blake Coleman (3-2—5) and Austin Czarnik (2-3—5) lead the offensive attack for The Brotherhood. Keep an eye on surprising freshman Taylor Richart on the blue line. Richart has blocked 18 shots in 4 games this season. Expect Blasi to rotate goalies again this weekend, and I’d expect to see McKay first and Williams second again. So far, the rotation has been magical for Blasi…wait… can we say “so far” any more? For the last 6-8 years, the rotation has worked magically for Blasi. McKay is the big presence we thought he would be in net, and despite only being on the ice for half of Miami’s game time this season, Jay Williams is the firecracker on the bench. The guy never sits still and is quite a presence for the Hawks. Michigan has 7 freshmen on the squad at the moment, compared to Miami’s 11, and they will look to push the pace as Red Berenson’s teams always do. Miami will need to keep its composure and due to Michigan’s inexperience could skate away with up a bucket of points this weekend. I’ll take Miami 4-2 tonight and Michigan 4-1 on Saturday. The RedHawks completed a convincing sweep of Colgate this weekend. Now that the games are in the books, we have an updated set of polls as well as the CCHA awards that have been announced today. Miami Sophomore Blake Coleman has earned CCHA Postgame Offensive Player of the Week. Coleman had 2 goals during the 3-0 victory to open the season, and added a goal and an assist on Saturday in Miami’s 5-1 victory. It’s ridiculously early, but Blake is tops in the country in goals scored with his 3 from this weekend – a great start to his second year in Oxford. In the polls, Miami jumped 4 spots in each of the USCHO.com and USA Today/USA Hockey Magazine polls, landing at the #4 position in each.. Notre Dame made the biggest jump of the week after winning the Ice Breaker tournament in Kansas City. We’ll keep a keen eye on the Irish this year, as we look forward to the Hockey City Classic in February. And in other RedHawks news, the Hawks recorded their 2012 PSA for the You Can Play project. You can view the PSA by clicking here. For this Redskin Warrior, a sense of optimism and hope comes along with the tournament brackets for once. Teams like the evil empires BC and BU are nowhere to be found (until the finals, anyway), other teams are missing key components, and momentum from a strong finish seems to be on our side. There are 9 teams that made the tournament in 2011, and 6 teams that have never won the whole thing. Let’s start in Worcester, where BC will undoubtedly have issues with Air Force. The Atlantic Hockey Champion has given teams fits in the last few NCAA tournaments. Last year, the Air Force Academy took the #1 overall seed Yale to overtime. 2 years ago, RIT took down another #1 seed in Denver, then blew out New Hampshire to make its first ever Frozen Four. Even though BC has won 15 in a row, I still think Air Force comes in with the experience of last year’s tournament and gives them quite a fight. They are over sized and over matched on paper, but you can never discount the heart of the Falcons on the field or on the ice. BC in a tight one, maybe even in overtime again. 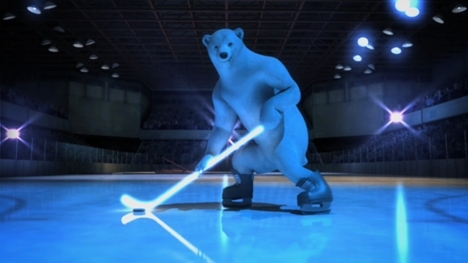 On the other side, you have the defending National Champions in the Minnesota-Duluth Bulldogs taking on the Maine Black Bears – Hockey East’s runner-up. If Maine’s Hobey Baker candidate and the nation’s top goal-scorer Spencer Abbott doesn’t play, I think they are 1 and done. If he plays (his status is currently “questionable”), this is a game to watch. I think the ‘Dogs come out on top in either scenario, however. In the regional final, look for a titanic battle between the last 2 National Champions. BC’s size and speed will overpower UMD and make it to the Frozen Four again. Congratulations, Western Michigan! 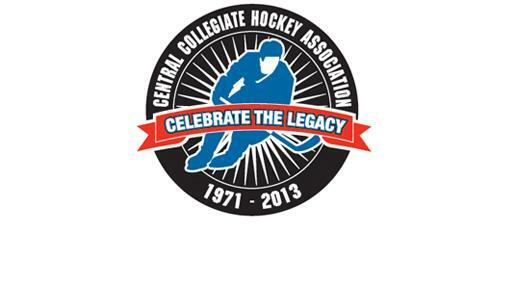 You’ve won the CCHA Tournament, arguably the best conference in NCAA hockey this year. Here’s the Mason Cup, and you get North Dakota as your victory prize! All kidding aside, I think the Broncos ride their Mason Cup win to a good showing. However, North Dakota has won 3 straight WCHA Playoff tournaments – something no other team has ever done, and they’ve been here before. NoDak moves on in this matchup. In the early game in St. Paul, the home town team is matched up with Boston University. The Minnesota Golden Gophers make their first NCAA tournament appearance since 2008. For one of the flagship programs of college hockey, this is somewhat remarkable, and in that time, 29 teams have made the NCAA tournament since Minnesota last did. Can you beat my score of guessing 24 of those 29 teams? Minnesota, this region’s host, should have about 15,000 of the capacity 18,064 fans in the Xcel Energy Center in St. Paul, and I have no doubt this will help propel them to a victory. Don’t count out BU, however. In a battle between head coaches who have 5 total national championships between them (Lucia – 2, Parker 3), I’ll take Minnesota. This creates a rematch of a conference tournament that we just saw last week, and ironically, it happens in the exact same building. Last Friday, North Dakota quickly went down 3-0, but rallied and scored 6 unanswered goals to move on. This coming Friday, I predict a different story, and Minnesota heads to Tampa. Michigan extends its NCAA tournament appearance streak to 22 years in a row – all of them under head coach Red Berenson – and will face the Cornell Big Red, whom Michigan met in the first year of the streak. While Cornell has 18 total wins on the season, Michigan has 18 wins against TUC’s this year. ‘Nuff said. Michigan big. On the other half, a much depleted Denver squad comes in for its 5th straight trip to the NCAA tournament. The Pioneers could be missing their best player in Jason Zucker, and head coach George Gwozdecky is preparing for the weekend as if they do not have their leading goal-scorer. They will take on a Ferris State squad that was unexpectedly bounced by Bowling Green in round 2 of the CCHA Playoffs, and has only been to the NCAA tournament one other time (2003) in their history. I’m taking Ferris State, here, but they’ll run into a much more stern task in the regional final. 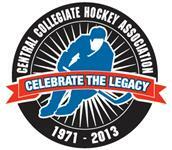 If the 2 CCHA teams prevail in Green Bay, this pits the #1 vs #2 teams from the conference against each other. Ferris State lost 7 times during the CCHA regular season this year, and two of them were to Michigan. I don’t think Ferris State has the star power to overcome Michigan, and Michigan makes it to their second straight Frozen Four. Of the 4 brackets in this year’s tournament, I don’t think Miami could have drawn a better grouping. They don’t have to face Michigan, North Dakota, or either of the Minnesotas OR Bostons. Nice work, selection committee! In the early game, Michigan State – the last team in the tournament – takes on the ECAC winner, the Union Dutchmen. A school of only 2,000, who is lead by first-year coach Rick Bennett, looks for their first-ever win in the NCAA tournament. I think they get it this year, as Michigan State is reeling. As we know, they fell 6-0 and 4-1 in Oxford 2 weekends ago, and have a bit of a goalie controversy. Also in his first year, Head Coach Tom Anastos will need to find something for either Drew Palmisano or Will Yanakeff to build on from those embarassing losses. Michigan State is going to be coming off of a bye, those 2 big losses, and another “bye” week, so they are going to be rusty as well. The ECAC Champs from Schenectady, NY (that’s fun to say) take this one handily. We’ll have some more for you on the Miami vs. UML game later in the week, but I will tease you with this fact from our Sunday #SixPack from this past weekend. Despite the youth on this team, Miami will be the bigger and stronger team. UML’s largest player is just 6′ 1″ tall. Miami averages that in height, with 13 players plus Connor Knapp coming in at 6′ 1″ or taller. It might look like a scene from one of my favorite hockey movies with the size advantage Miami will have on the ice. In any event, the New York Rangers RedHawks take down the scrubs from Mystery, Alaska River Hawks and move on to face Union. The Regional Final will be a hard fought battle, but I’m confident that Miami will be back on track after a big win on Friday night and will carry the momentum to Tampa where I’ll get to see the RedHawks take on Michigan in the National Semifinals. To recap, that’s BC against Minnesota on one side, and Michigan vs Miami in the other half of the bracket. Post your picks in the comments below and we’ll see how things turn out this weekend. IS IT FRIDAY YET?!?!? !